I picked up the first Morganville Vampires Book, Glass Houses, at the recommendation of a friend. I had never heard of Rachel Caine and wasn't sure that I wanted to start another series, but there was a copy in the library system, so I went ahead and borrowed it. This series is different from any other vampire series that I've read and I loved it right away. I'm very excited to read Kiss of Death and Ghost Town, which is being published in November! 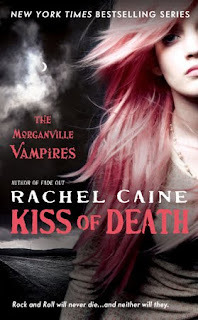 You can find more information about the Morganville Vampires Series on Rachel Caine's website. I have been staying away from most of the Vamp series myself. I will give this a try on your recommendation. Thanks. I haven't read this series yet but I am really interested. I may have to pick the first book up from the library to try it. This is one of those series that I really want to start but haven't been able to get around to. 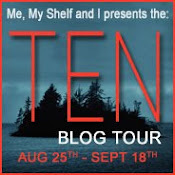 I read the first few chapters of the first book online and really enjoyed it. Great pick! Great pick! I am just about to start this series and I'm really looking forward to it! The Morganville Vampires is now on my wish list. Thanks for posting this.